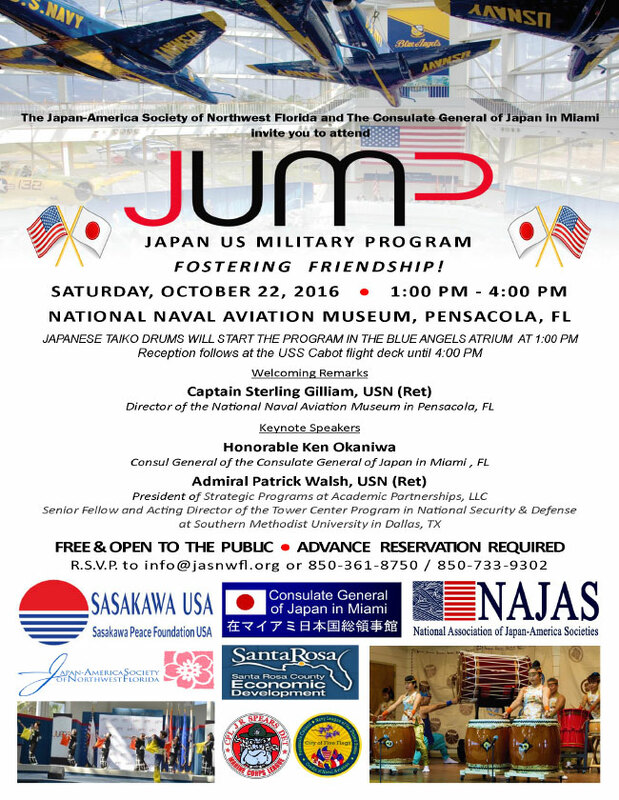 The Japan-America Society of Northwest FL and The Consulate General of Japan in Miami cordially invite you to attend the Japan-U.S. Military Program that will be held on Sat., Oct. 22, 1:00-4:00 p.m. at the Blue Angels atrium in the National Naval Aviation Museum. Reception follows at the USS Cabot flight deck until 4:00 p.m. The event is free and open to the public, but advance reservation is requested. We hope to see you again.